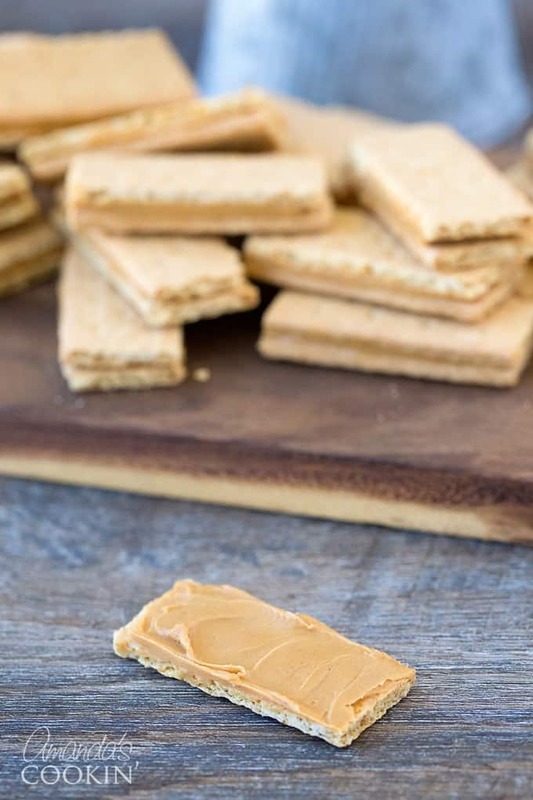 I don’t know about you, but I love graham crackers slathered in peanut butter. They make a really great snack and satisfy a sweet craving quickly. I also love those chocolate dipped graham crackers you get at Starbucks. 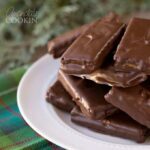 So when a friend of mine mentioned combining all that wonderfulness into these homemade candy bars I was sold. 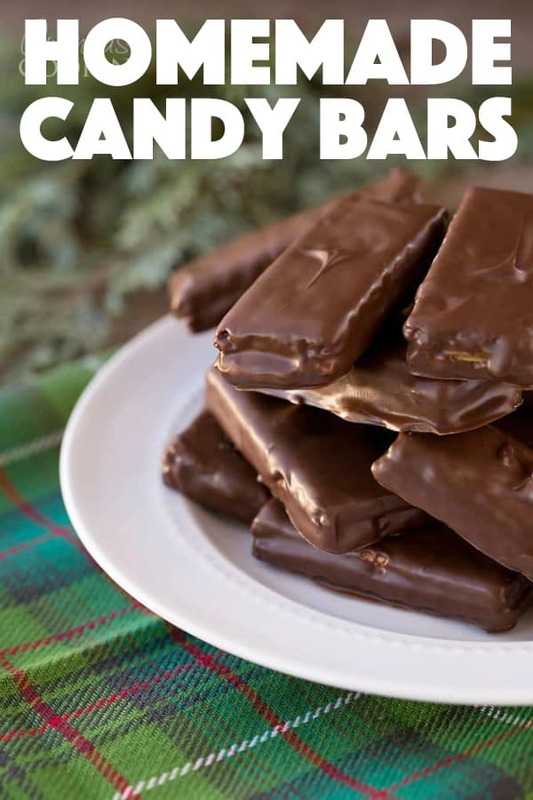 This candy is very easy to make and kids and adults alike will love them! My kids loved these, but my 13-year-old was infatuated. 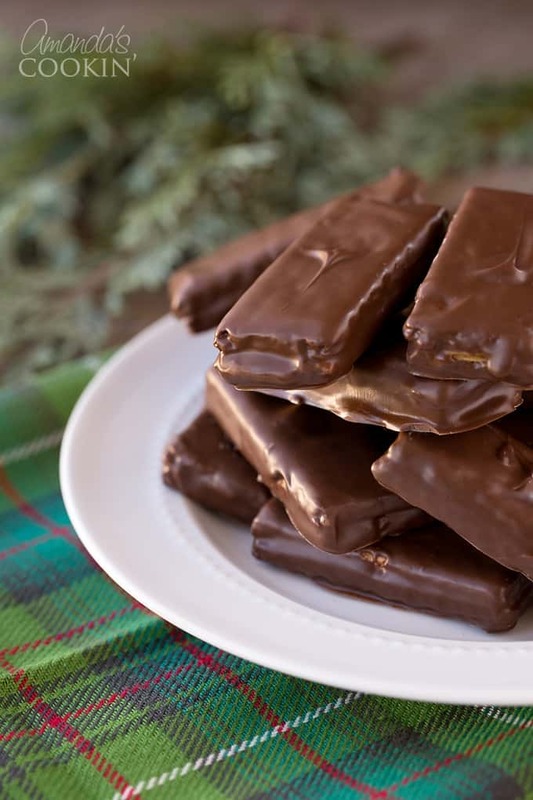 That child is now 19 years old and still loves these homemade candy bars! He’s crazy for anything with chocolate and peanut butter. Cut graham crackers into individual pieces using a sharp knife. You can break them with your fingers, but sometimes they don’t break evenly. Your best bet is to use a knife. Spread one cracker with peanut butter, then place another graham cracker on top of it. Smooth the sides where peanut butter may have seeped out. Use extra peanut butter to make them even all the way around the cracker sandwich. I used Ghirardelli melting chocolate I got from Sam’s Club. Awesome stuff. 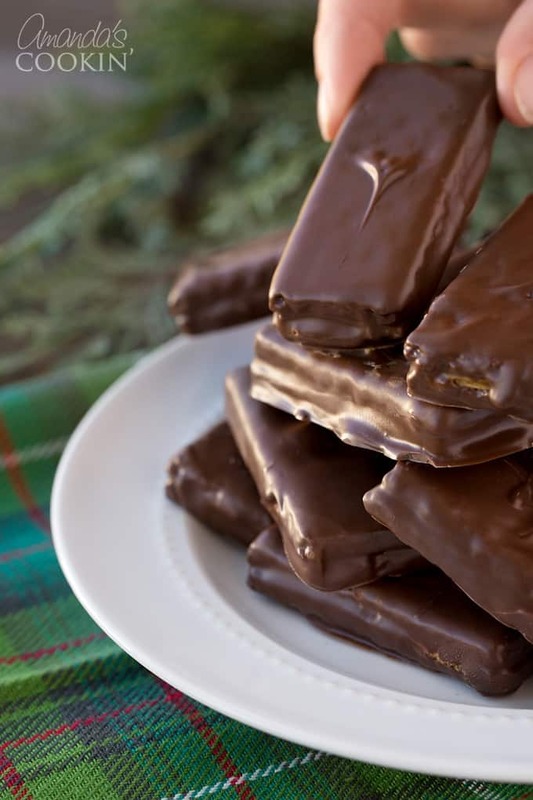 You can use almond bark or other melted chocolate as well. Use appetizer tongs to dip in melted chocolate. 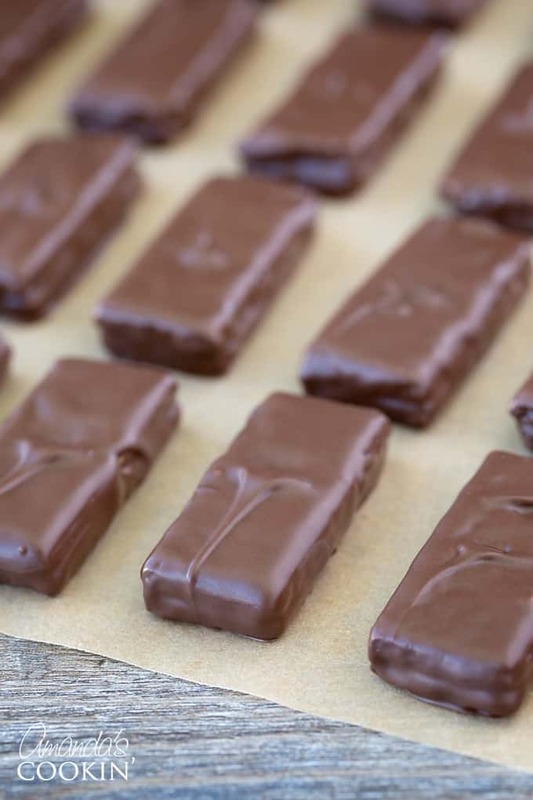 Shake off the excess and place on a lined with wax paper cookie sheet and allow chocolate to set. We have lots of easy candy dessert ideas on the blog, like our Heart Oreo Truffles which are perfect for Valentine’s Day or anniversaries, these Candy Bar Cookies which are a huge hit over the holidays during cookie exchanges, or you can check out our collection of 30+ Homemade Candy Recipes for more inspiration! 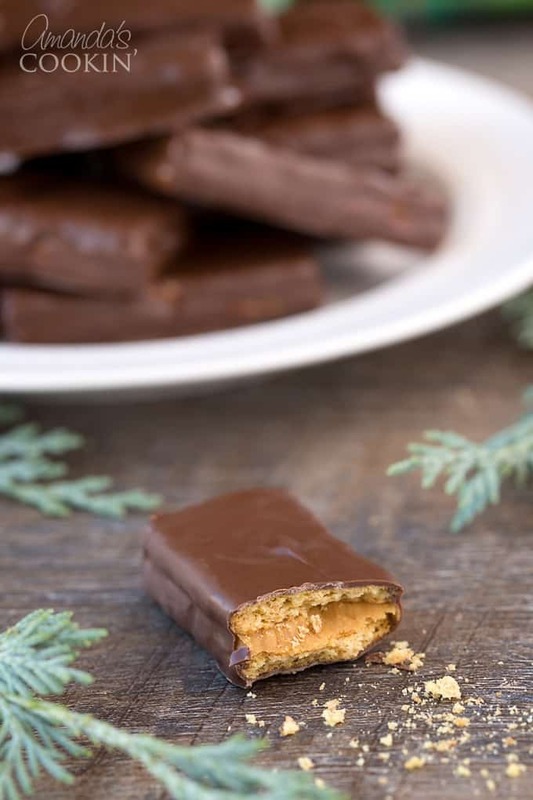 The combination of chocolate, peanut butter and graham crackers makes a delicious homemade candy bar. Cut graham crackers into individual pieces using a sharp knife. You can break them with your fingers, but sometimes they don't break evenly. Your best bet is to use a knife. Hi, Anne. I have not tried that but I would imagine it would work. Maybe soften some Kraft caramels in the microwave? Another option is to use Nutella or another version of nut butter. Let us know how it turns out! Dear Amanda, thank you for this simple but great idea ! Your photos are great too ! Thank you and have a pleasant weekend ! I’ve actually done the Nutella ones before. 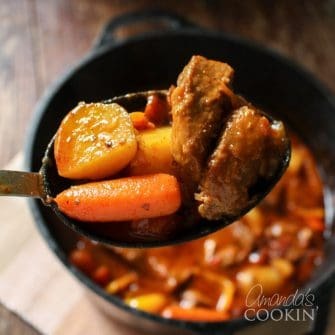 I mix in a couple of Tbsp of cornstarch with it and it stiffens right up. It doesn’t change the flavor like powdered sugar or cream cheese. Anon – I hope you enjoy them! My son keeps bugging me to make more LOL! Ah yum!! So easy, yet so awesome!